Ok now this one is a bit different I know. 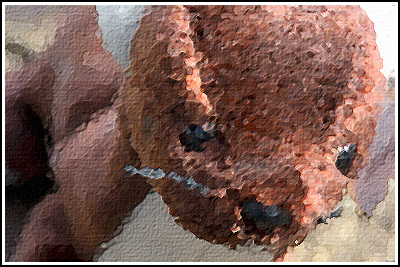 This is a photograph that was taken of a Beanie Baby ferret, however once it got into the computer and into Photoshop things went a bit different. 🙂 What I did was convert a photograph into what appears to be an oil painting, its actually quite a simple technique but it can make your work go POP.